Gettin' to the stage where a lot of the pages are finished. Just got to marry the lettered pages to the toned pages in illustrator. and Book three is almost done and indeed dusted. Here's the title page all toned,but not lettered. 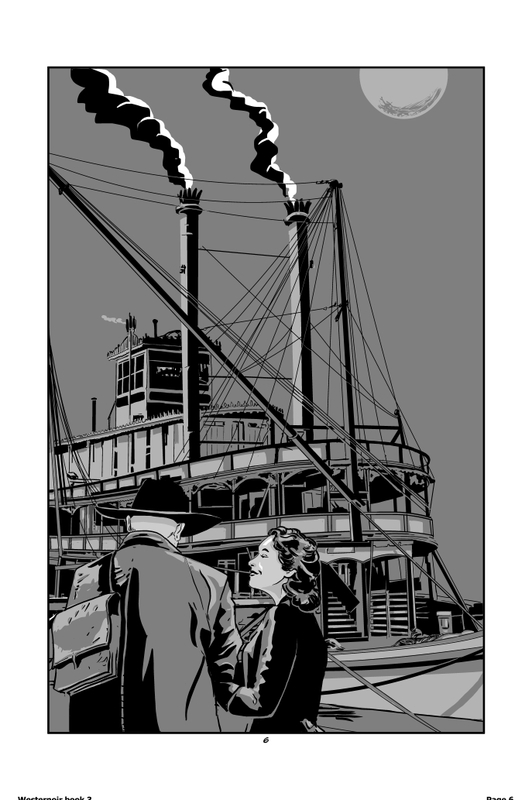 Bet that boat wasn't a pain to draw. An effective use of greys...but the page would have more depth with white clouds cutting in. Awesome page Gary ... sets the book off very nicely. I was gonna cut into the grey with clouds but as the top third of the page will be covered with the title I thought it would distract.